iOS11 Features lets developers create augmented reality experiences that can be accessed on compatible iOS devices —iPhones and iPads with A9 and A10 processors. The software will only recognize horizontal planes at this time – such as tables and floors today, but this is a big step forward in virtual reality. 3. Siri’s new tricks. iOS 11 adds several Siri-specific improvements including Siri translation, Type to Siri and a number of big SiriKit improvements for developers. 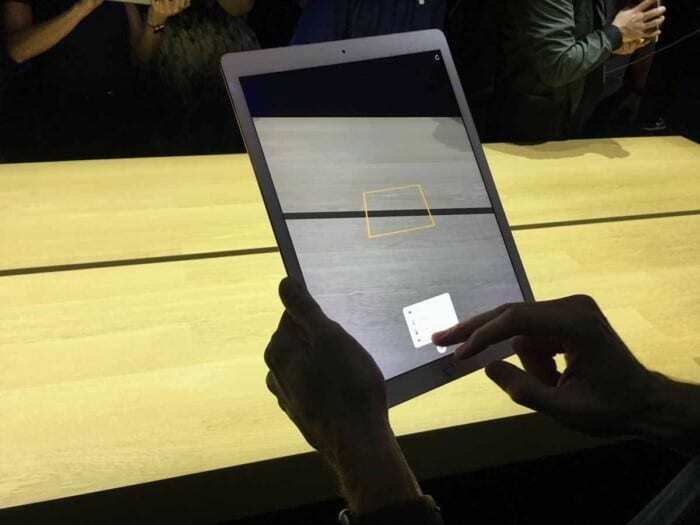 4. iPad Pro in Business. 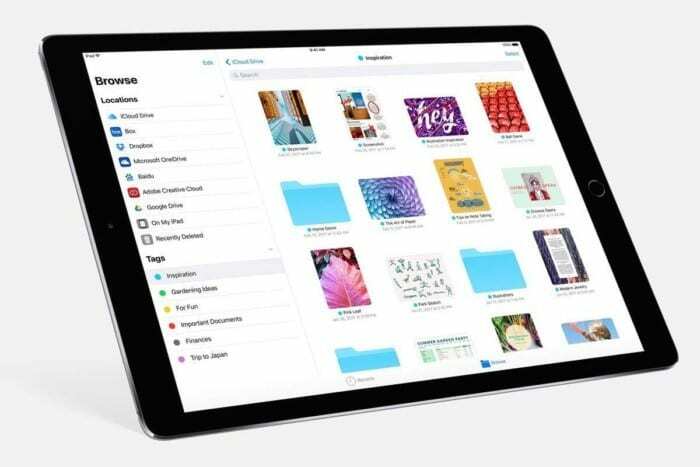 Apple introduced a number of iPad-only improvements in iOS 11 that make the device far more productive. Drag and drop: You can select a single item by tapping it, and if you continue to hold it — and then tap one or more additional items — you can select a number of items and place them on/in the app. This feature also works with the newly introduced Files browser (see below). Together, Files and drag-and-drop make working on an iPad feel much more like working on a computer than on a giant iPhone. ​Other enhancements include refined Split View on the iPad, Slide Over, App Switcher, and Apple Pencil. 5. Apple File System. The new Files app delivers something we’ve been hoping for since iOS first appeared in 2007: a file system. Open it up and you’ll find a Search bar and three different areas: Locations, Favorites and Tags. Locations lets you access files held in iCloud Drive, on your device or the trash (if they were recently deleted). You can also bring in files stored in third-party services such as Dropbox. When you tap the Share item for any file, you’ll find a new +Tag item to the right of the file name at the top of the screen which allows you to assign a new tag to a file. If you haven’t started using tags, you probably should, since they will help you find items across all your Apple devices. The new File system offers several other features which we will go into detail about in a later article. 6. A faster, smarter Safari. Quick and easy browsing of the web has bolstered Apple’s success since the iMac arrived in 1999, so the latest iteration of Safari in iOS will affect millions of users. The focus this year is on speed (you’ll like the faster scrolling) and security. 7. Business Chat bots. Apple at WWDC 2017 in June announced a key partnership with Nuance to create a bot-based customer service ecosystem for Messages, called “Business Chat.” Apple’s plan is to integrate Nuance’s Digital Customer Engagement Platform with Apple Business Chat. This will enable new breeds of A.I-based assistants in Messages allowing you to see a little message icon pop up on brand websites and in search results. 8. Your iOS, your Control Center. Every iOS user already interacts with Control Center. Swipe up and you can invoke numerous items for quick access. iOS 11 sees significant improvements here, including a redesign that combines everything in one window, brings in a range of new functions, and lets users choose which tools are available in their Control Center (Settings>Control Center). 9. Mightier Maps. Maps continues to improve with features such as the introduction of new AR-like city flyover views. 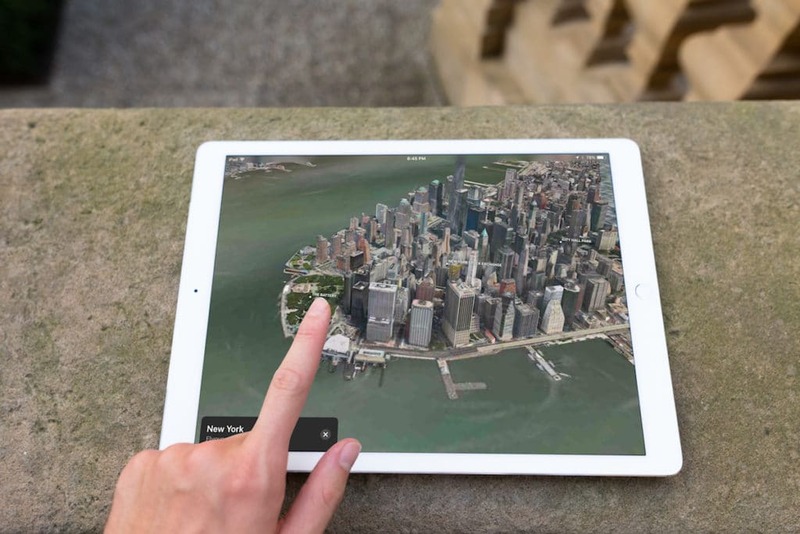 These use your iOS device’s camera and sensors to track your position and move you around 3D representations of key cities, such as London or New York. To explore these views, search for a major city and look for a Flyover button. Tap this to access the view. Not every city is supported, so if the city you chose doesn’t have the button, keep trying. Apple has also worked hard to make Maps more effective for getting quickly from point A to point B. iOS 11 offers indoor maps for shopping malls, for instance, as well as airports and transit hubs. It also includes other enhancements including a "Do Not Disturb When Driving" feature, a new Lane Guidance feature, a speed limit display, “Light Guidance” mode and a new way to access zoom mode. 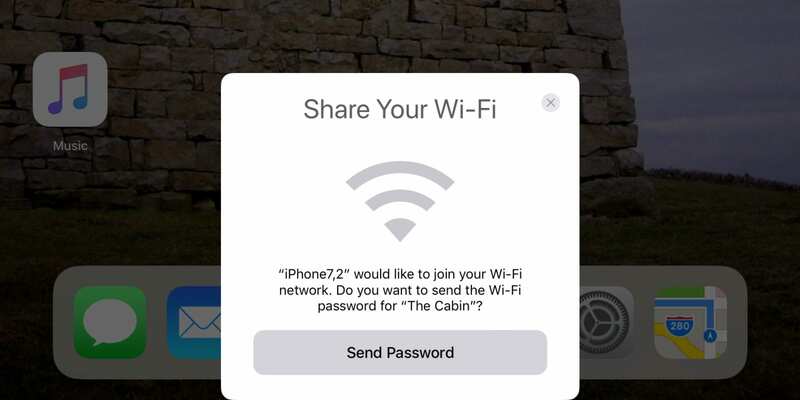 Instant Wi-Fi: iOS 11 users can approve others to use their Wi-Fi network by holding the devices close together, authorizing them, and transferring the password automatically. This should help schools and enterprises more easily manage routine Wi-Fi password changes. Automatic setup: Got a new iOS device? Just hold it near an iOS 11 device (or High Sierra Mac) you already own and are logged into using your Apple ID. Many of your personal settings, preferences and iCloud Keychain passwords will be carried over to your new device, so it is ready to use, fast. QR Code scanning: The Camera app will automatically scan and understand QR codes. Point your device at the code, tap to focus, and a notification box will let you respond to that code. This will come in useful for automatic setup of things such as Wi-Fi networks, HomeKit devices, contact cards, website URLs and more. Core NFC: This new iOS 11 framework lets developers create apps that can read NFC tags. It’s a little limited at the moment — it only works one-way, so you can use it to access information about museum exhibits and visitor attractions rather than for more sophisticated payment systems. 11. Image and Photo enhancements. Apple’s been working hard to improve your images. The biggest enhancement is introduction of support for the HEIF photo format. Based on the video-focused HVEC format, HEIF is capable of saving images around half the file size of JPEGs but at much higher quality (up to 16-bit, versus 8-bit). There are many more improvements within iOS 11, including a one-handed keyboard option, person-to-person payments within Messages, the capacity to record and broadcast what’s happening on-screen, and App Offloading, which lets you delete an app you don’t use often while keeping the app data. When you need it, just download the app again to use that data. You’ll also find improved screenshot annotation and significant additions to CareKit and ResearchKit, which provide a platform for health and medical equipment developers. Note: iOS 11 is currently available in beta only – meaning that there are still many bugs and glitches they are working to iron out before releasing to the public. While all of the features mentioned below are offered in beta, some might not make the final cut. We strongly recommend that you DO NOT install the upgrade to your primary device until the official version is released. 1. Augmented reality. Apple’s newly introduced ARKit framework lets developers create augmented reality experiences that can be accessed on compatible iOS devices —iPhones and iPads with A9 and A10 processors. The software will only recognize horizontal planes at this time – such as tables and floors today, but this is a big step forward in virtual reality.